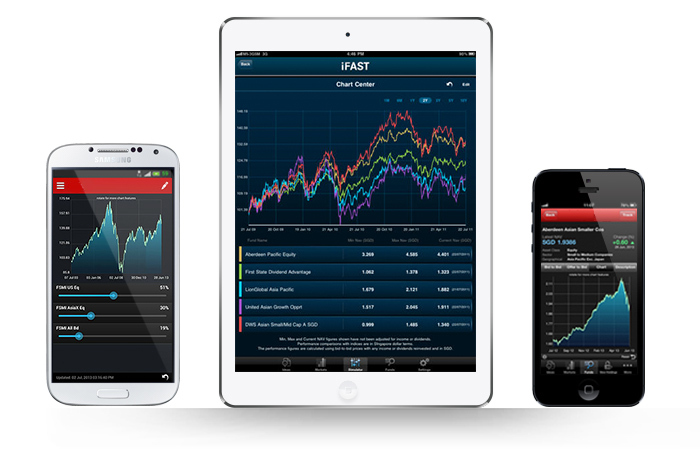 With the increasing usage of mobile devices, a mobile app for your wealth advisers and clients can enhance the user experience of your services and products and take marketing and sales to another level. We have developed mobile apps for iPad, iPhone, Android-based devices and BlackBerry and recently clinched the Silver award at the Mob-Ex Awards 2014, in the "Most Informative Use of Mobile" category, with the FSM Mobile Consumer App. Given our expertise in both B2B and B2C mobile apps, you can rely on us to develop a white label and customised mobile app for you to stay ahead of the competition.